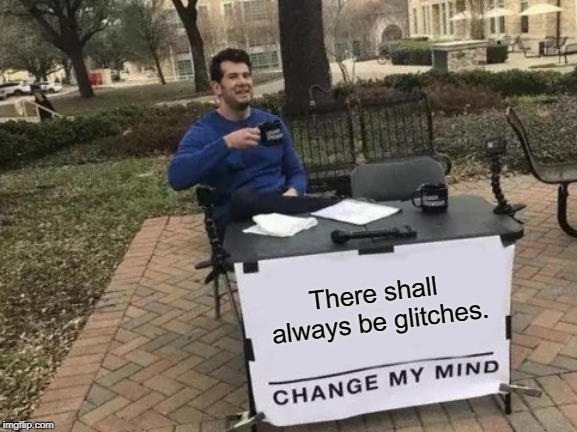 Who Else Knows About Glitches? 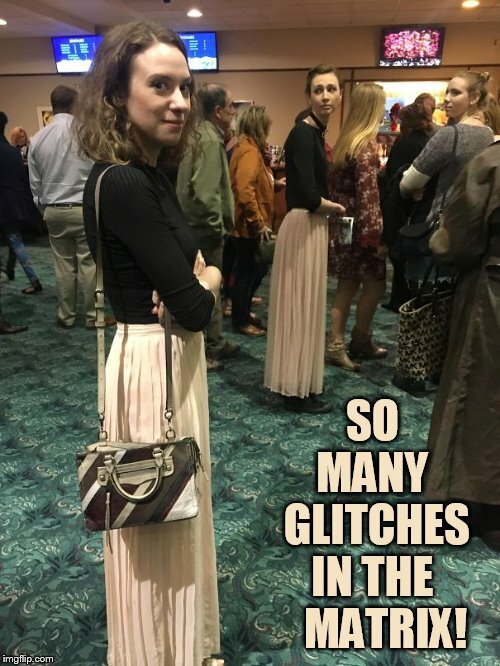 Well Share Them During Glitch Week April 8-14. 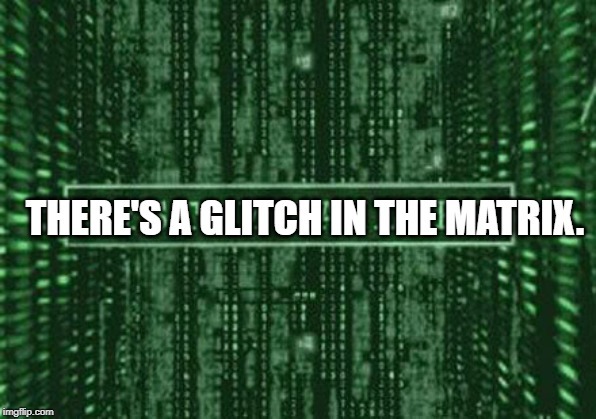 Glitches Are Everywhere! 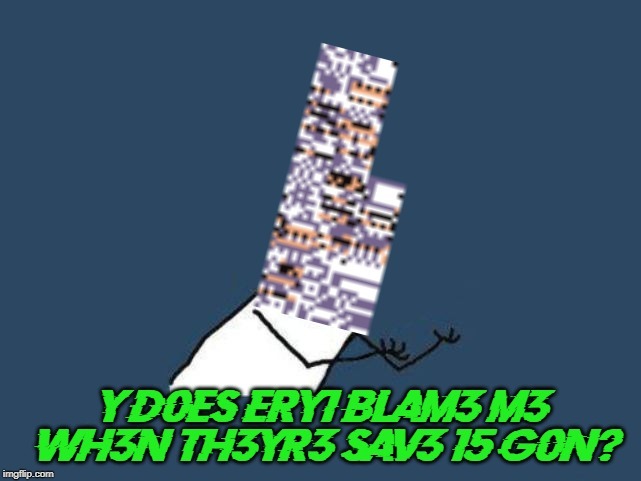 And only upvotes for you too. Only upvotes for you too. It's Yoda, they make sense but yet they don't. 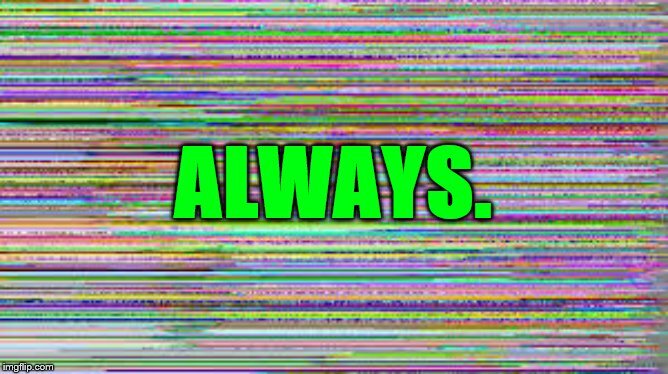 It doesn't mater that much to me. The one on the left looks like he's peeing. 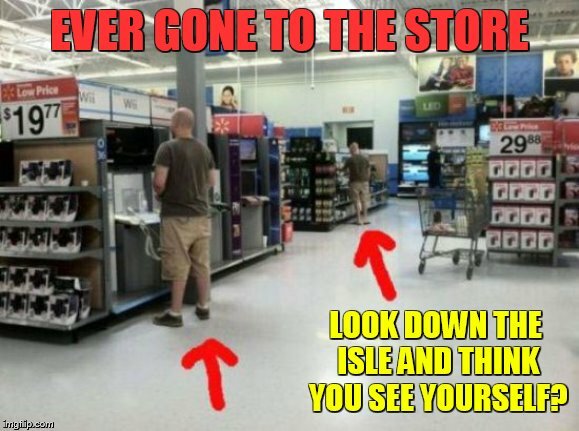 EVER GONE TO THE STORE; LOOK DOWN THE ISLE AND THINK YOU SEE YOURSELF?